New Zealand writers are featured in this month’s ‘Other Genres’ selection of new material. There are several historical novels that bring into focus New Zealand’s political, cultural and social development over the last century. 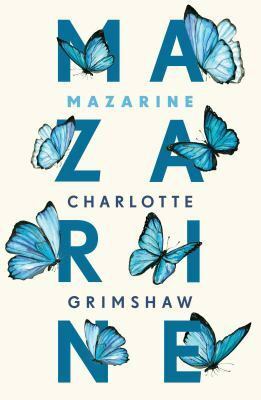 As well as a fabulous new Ngaio Marsh murder mystery completed by award winning author Stella Duffy and a new work from award-winning author Charlotte Grimshaw called Mazarine. Money in the morgue / Ngaio Marsh & Stella Duffy. Six murders? : the strange case of the Welly alley strangler / by Robert Philip Bolton. A thin slice of heaven / Paul Wah. The man who would not see / Rajorshi Chakraborti. 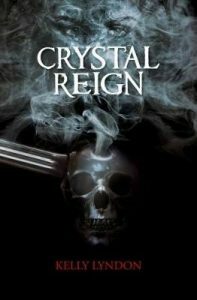 Crystal reign / Kelly Lyndon. 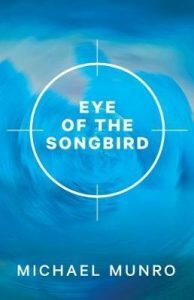 Eye of the songbird / Michael Munro. A tale of love / Linda Lê ; translated from the French by Sian Robyns. Boundary / by Paul W. Feenstra. Te korero ahi kā : To speak of the home fires burning / edited by Grace Bridges, Lee Murray, Aaron Compton. The ‘other genres’ category this month features historical fiction. This latest selection includes a new novel by the popular, prolific Bernard Cornwell. Highly recommend is the much praised debut novel by Imogen Hermes Gowar, titled The Mermaid and Mrs Hancock. Carnegie’s Maid : a novel / Marie Benedict. The girls in the picture / Melanie Benjamin. Warriors of the storm / Bernard Cornwell. Greyfriars House / Emma Fraser. The mermaid and Mrs Hancock : a history in three volumes / written by Imogen Hermes Gowar. The great alone / Kristin Hannah. The sealwoman’s gift / Sally Magnusson. An unlikely agent / Jane Menczer. Pale horse riding / Chris Petit. Featuring this month in our ‘other genre’ category we have selected fiction from the thriller genre. These are guaranteed reading for ardent fans of tension and suspense, and at times not for the faint hearted. Highly recommend is The Woman in the Window by A. J. Finn. Eighteen below / Stefan Ahnhem ; translated by Rachel Willson-Broyles. Robicheaux : a novel / James Lee Burke. I know my name / C.J. Cooke. If I die before I wake / Emily Koch. District VIII / Adam LeBor. The house / Simon Lelic. The boy made of snow / Chloë Mayer. It’s the beginning of a new year and we have selected some fabulous new fiction from our recently received material for your enjoyment. In the ‘Other Genres’ category this month we are highlighting thrillers, which are guaranteed tensely suspenseful reading. This month we received new novels from so many brilliant writers it was difficult to select only ten for our Recent Picks selection. We do hope you will explore the complete list and that the three chosen for this newsletter will definitely be a temptation to do so. The hearts of men / Nickolas Butler. Future home of the living god : a novel / Louise Erdrich. The threat level remains severe / Rowena Macdonald. As always the graphic novel collection provides readers with a multitude of choice with the variation of narrative, both visual and textual. For this month’s newsletter we have chosen examples of this diversification. Josephine Baker / written by José-Louis Bocquet ; art by Catel Muller ; historical consultant, Jean-Claude Bouillon-Baker. On the Camino / Jason. Rise of the dungeon master : Gary Gygax and the creation of D&D / David Kushner and Koren Shadmi. In the selection of new mystery fiction this month there were several translated novels, giving an international flavour to this genre. Readers will enjoy the different cultures and societies represented in each mystery. A great way to enjoy armchair travel, providing the suspense and tension is not too disturbing. The girl in the fog / Donato Carrisi ; translated by Howard Curtis. Madness treads lightly / Polina Dashkova ; translated by Marian Schwartz. The Anthill murders / Hans Olav Lahlum ; translated from the Norwegian by Kari Dickson. 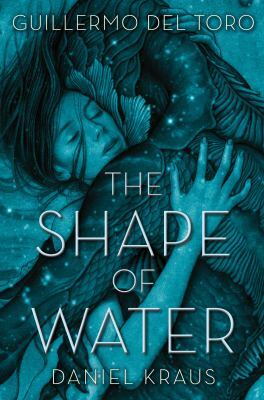 The selection from our new science fiction and fantasy novels included several that were dystopian themed, and several novels that had immediate problems facing the world woven into the plots, such as global warming, animal rights and pandemics. The city of brass / S. A. Chakraborty. Beacon 23 / Hugh Howey. Dogs of war / Adrian Tchaikovsky. This is another month featuring New Zealand writers in our ‘Other Genre’ category. Hopefully this is an indication that New Zealand writing and publishing is flourishing. Almost all genres are represented, from historical fiction to mysteries and short stories, and with a New Zealand flavour. Soldier’s son / by Ian Dodds. Salt picnic / Patrick Evans. New Zealand writers are the feature of this month’s ‘other genre’ category. Included are the most recent novels from Catherine Chidgey and Catherine Robertson. Also after many years there is a collection of short stories from Laura Solomon that proves to be well worth the wait. 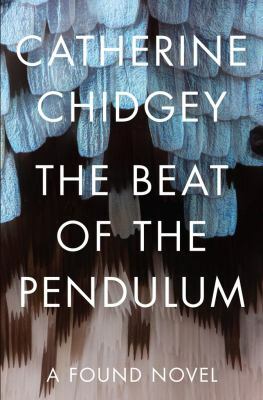 The beat of the pendulum : a found novel / Catherine Chidgey. The benefactor / Sebastian Hampson. Beneath pale water / Thalia Henry. All our secrets / Jennifer Lane. Navigator : a novel / Anne Moir. Gabriel’s Bay / Catherine Robertson. Taking Wainui / Laura Solomon. Nothing bad happens here / Nikki Crutchley. This month, short stories are the feature of our ‘Other Genres’ category of fiction recent picks. There are collections from many much acclaimed writers including William Boyd, Helen Garner, P.D. James and our own Paula Morris. There are several debut short story collections also, one notably from Emily Fridlund whose first novel History of Wolves was shortlisted for this year’s Man Booker Prize. Tell tale / Jeffrey Archer. The dreams of Bethany Mellmoth / William Boyd. The relive box and other stories / T. Coraghessan Boyle. Catapult : stories / Emily Fridlund. Stories : the collected short fiction / Helen Garner. Uncommon type : some stories / Tom Hanks ; photographs by Kevin Twomey. Sleep no more : six murderous tales / P. D. James ; foreword by Peter Kemp. That was a shiver : and other stories / James Kelman. False river : stories, essays, secret histories / Paula Morris. This is the fourth ‘other genres’ selection featuring New Zealand writers this year. There has been an amazing number of novels from new and well known writers published this year. Included in this month’s selection are two veterans of New Zealand writing Patrick Evans and C. K. Stead, and two debut novelists, Michalia Arathimos and Jonothan Cullinane. To the white Gate / by Robert Philip Bolton. The direction of our fear / David Briggs. Red herring / Jonothan Cullinane. Sodden downstream / Brannavan Gnanalingam. The necessary angel / C. K. Stead. Operation Iran / Brian Wilson. Translated novels feature in this month’s selection of ‘Other Genres’ fiction. With some wonderful novels, translated from Swedish, Mandarin, Norwegian, Japanese, Spanish, French, Turkish and Hungarian, many hours of reading pleasure are guaranteed. Nevada days / Bernardo Atxaga ; translated from the Spanish by Margaret Jull Costa. Penance / Kanae Minato ; translated by Philip Gabriel. Waiting for Monsieur Bellivier / Britta Röstlund ; translated from the Swedish by Alice Menzies. The history of bees / Maja Lunde. Sundays in August / Patrick Modiano ; translated from the French by Damion Searls. The children / Carolina Sanín ; translated from the Spanish by Nick Caistor. Katalin Street / Magda Szabó ; translated from the Hungarian by Len Rix. The postman’s fiancée / Denis Thériault ; translated by John Cullen. A wonderfully rendered retelling of this exciting classic novel. One of the best apocalyptic science fiction novels yet. A gripping highly charged mystery. A suspenseful, almost gothic story of family, love and disappointment in one New Zealand family. An emotionally deep novel about survival, fear and courage. Welcome to the latest fiction newsletter. Here we showcase some of the most exciting new fiction in each genre. This month we feature New Zealand writers in out ‘Other Genres’ category. All sections are linked to the full list of recent picks selections from our new additions to the collection. We wish you many hours of entertaining and satisfying reading. The selection of new contemporary novels this month includes new novels from some highly acclaimed authors, and several debut novels that will surely secure each author’s future writing career. For this newsletter we have highlighted three debut novels so readers can judge this for themselves. The Pacific room / Michael Fitzgerald. Goodbye, vitamin : a novel / Rachel Khong. As always the new graphic novels illustrate the diversity of this collection, with narratives ranging from comedy to tragedy, from modern life to horror, from the sublime to the surreal, and all with extraordinary art work. We hope the three titles chosen for this newsletter illustrate this diversity. Little Tulip / Jerome Charyn and François Boucq. Pretending is lying / Dominique Goblet ; translated by Sophie Yanow in collaboration with the author. The Black Monday murders. Volume 1, All hail, God Mammon / words by Jonathan Hickman ; art by Tomm Coker. This month many very popular, much acclaimed writers were included in our monthly selection of new mystery novels. The three titles chosen for this newsletter will hopefully tempt fans of this genre to pursue the complete list of selected new mysteries. Glass souls : moths for commissario Ricciardi / Maurizio de Giovanni ; translated from the Italian by Antony Shugaar. Ordeal / Jorn Lier Horst ; translated by Anne Bruce. Only human / Kristine Næss ; translated from the Norwegian by Seán Kinsella. All aspects of science fiction and fantasy, dystopian fiction, space warfare, aliens, magic, planetary missions, and much more are represented each month in our selections from the new novels added to Wellington City Libraries collection. Readers of this genre are always guaranteed hours of escapist pleasure. The management style of the Supreme Beings : A novel / Tom Holt. The White City / Simon Morden. This month we featured New Zealand writers, with much variation of genre with mysteries, psychological thrillers, science fiction, historical, and contemporary life all represented. This newsletter selection highlights some great reads by some of New Zealand’s best writers. The sound of her voice : one cop’s descent into darkness / Nathan Blackwell. A killer harvest / Paul Cleave. Decline & fall on Savage Street / Fiona Farrell.